Renault has previewed its facelifted Kadjar, which introduces new and revised engines as well as updated design. Launched in 2015, the Qashqai-rivalling compact SUV is being updated with a new 1.3-litre TCE petrol first fitted in the Scénic and already in use on the Captur and Mégane. This will be offered in two outputs – 140hp and 160hp – and with either manual or dual-clutch EDC auto gearboxes. Making its debut at the Paris Motor Show and due in Q1 2019, the Kadjar also gets revised diesel engines, now badged as ‘Blue dCi’. The Blue dCi 115 engine gets a 5hp power increase to 115hp with torque up 10Nm compared with the previous-generation engine. It will be available with a manual transmission, joined at a later date with the dual-clutch EDC transmission. The Blue dCi 150 offers 150hp – up an extra 20hp compared with its predecessor – and will be offered with manual transmission and two-and four-wheel drive versions. 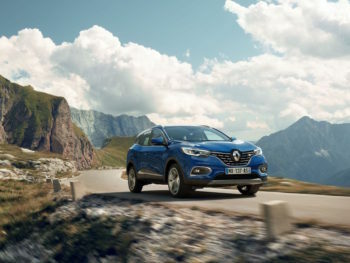 Design changes are subtle – Renault says customer surveys show that styling is the main reason for purchasing a Kadjar – and bring a revised grille, bumpers and light signature along with new 17- and 19-inch alloy options while the interior has been enhanced for quality and ergonomics and also get a new seven-inch multimedia touch screen.